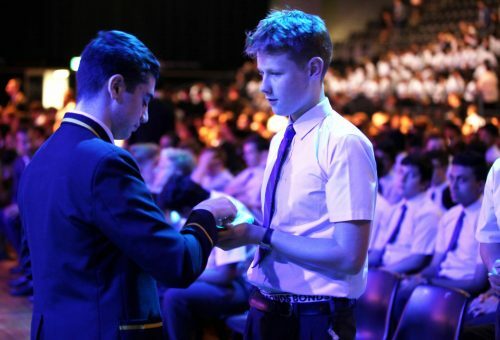 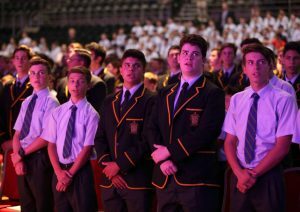 On Friday 8 February, the whole College community, including many parents, came together at the Quaycentre in Homebush to celebrate the start of the school year through Eucharist. After the Year 12 cohort warmly welcomed the new Year 5 students one by one, our College Chaplain, Fr Jack Evans, led us in the Mass as we reflected on where we have come from and where we hope to go this year. 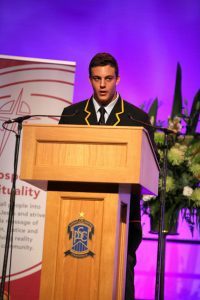 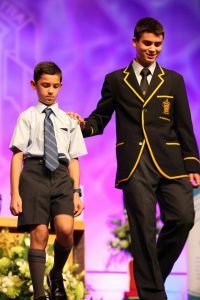 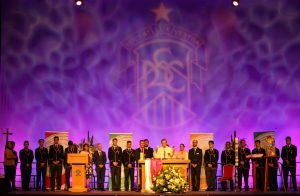 College Captain, Mark Herro set the tone by introducing the theme for 2019 – “Serve one another with whatever gift each of you has received.” (1 Peter 4:10) It was the foundation for all readings, hymns and prayers and helped connect us more deeply to the EREA Touchstone of Justice & Solidarity. 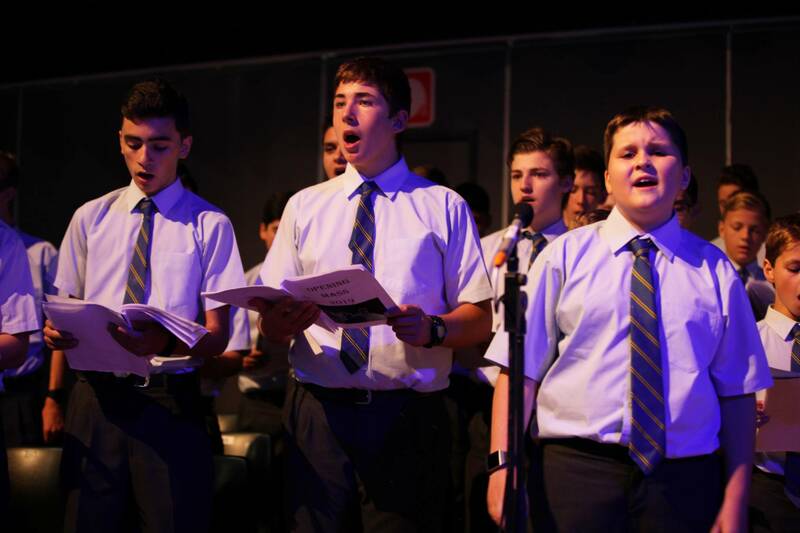 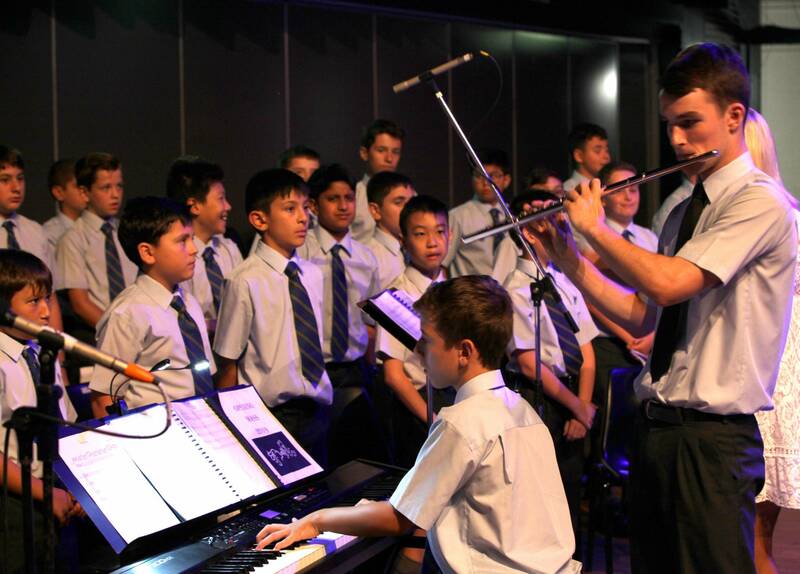 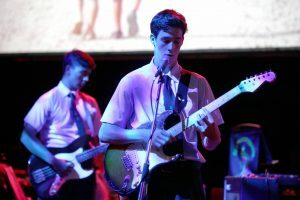 The College Band and Choir led the music beautifully, and the Year 12 trio of Iban Elhorga, Angus Riley and Patrick Watson played Marvin Gaye’s classic ‘What’s Goin’ On?” for our reflection after communion. 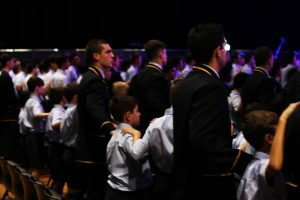 In the offertory we brought up many of the gifts we have to share including love, friendship and kindness. The whole celebration was set on top of our acknowledgement of the traditional custodians of the land, and we were inspired to go from the space with peace in our hearts and peace to share with others. 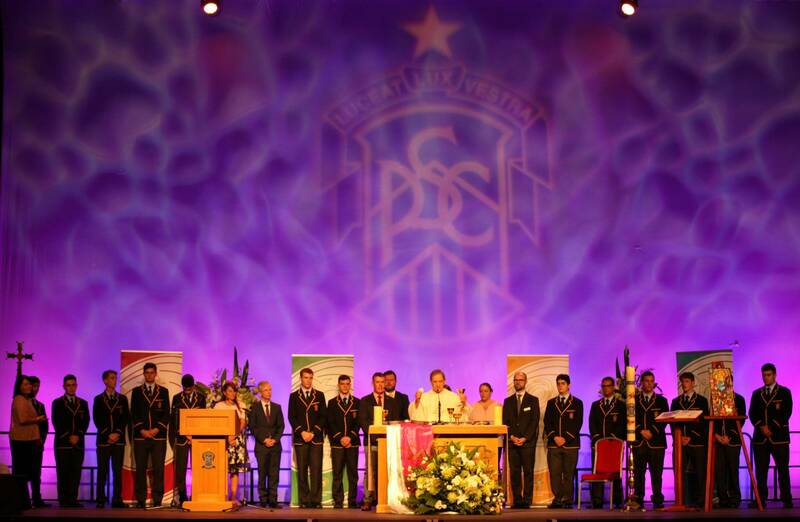 Following Mass the whole community celebrated the academic achievements of the Class of 2018; the whole day bringing together our two great missions – faith and education.